Striped Skunks have such a bad reputation for spraying whomever they encounter. That is the last thing they want to do. 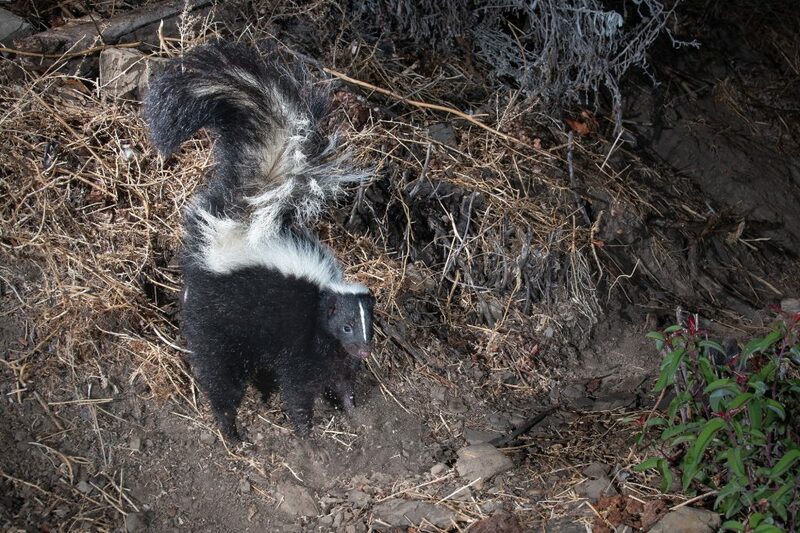 Skunks do not have an unlimited supply of the smelly stuff and must “recharge” once it sprays. If it completely depletes his scent glands it can take up to ten days to regenerate, leaving it defenseless for that period. 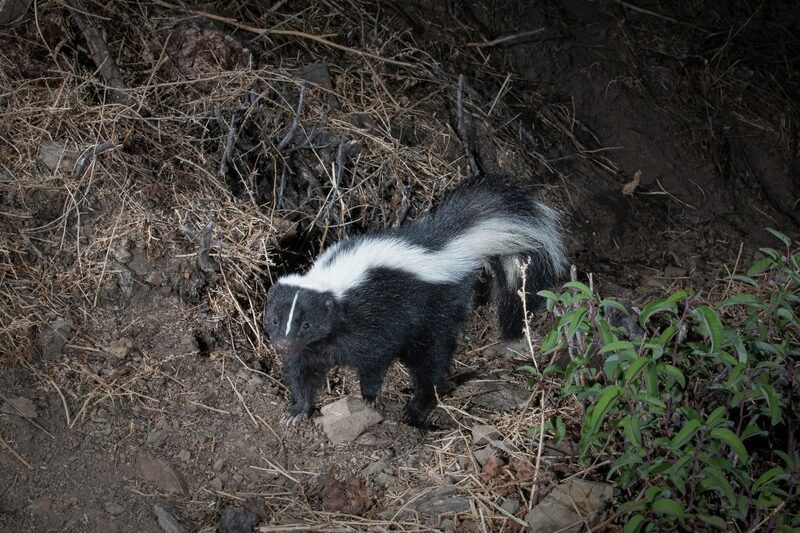 Skunks typically give fair warning before going nuclear. First they will raise and shake their tail. Next comes the stamping of the front feet (as in the photo below), followed by raising into an impressive handstand. And if all of this fails to persuade you to leave it alone, it will be compelled to spray. So the best advice we could give when encountering a skunk, or any wild animal, is to give it space so that it clearly understands you have no intention of harming it.